We all know the huge success Nike had with Michael Jordan, which put Nike lightyears ahead of its competitors in basketball shoes. But recently, its competitors have been catching up, and one of them is Reebok. Just like MJ is the signature of Nike, AI is the signature of Reebok, bringing forth a new Reebok - Nike rivalry. Did you know that Iverson wore only Air Jordan's growing up? Check the bio section. His mom wanted him to go to basketball practice (Allen refused and cried because he didn't like basketball at the time), so she bought him a pair of Air Jordans. Despite living in poverty, his mom would do anything to get him a pair whenever they came out. Iverson wore Nike shoes in Georgetown, primarily because the team was sponsored by Nike. But when he was drafted into the NBA, Reebok took a chance and immmediately signed him to a $40 million deal for 5 years. With Allen's phenomenal rookie season (winning the Rookie of the Year), Reebok became an instant success. His first signature shoe, the Question (after his nickname, The Answer), sold in record-breaking numbers. 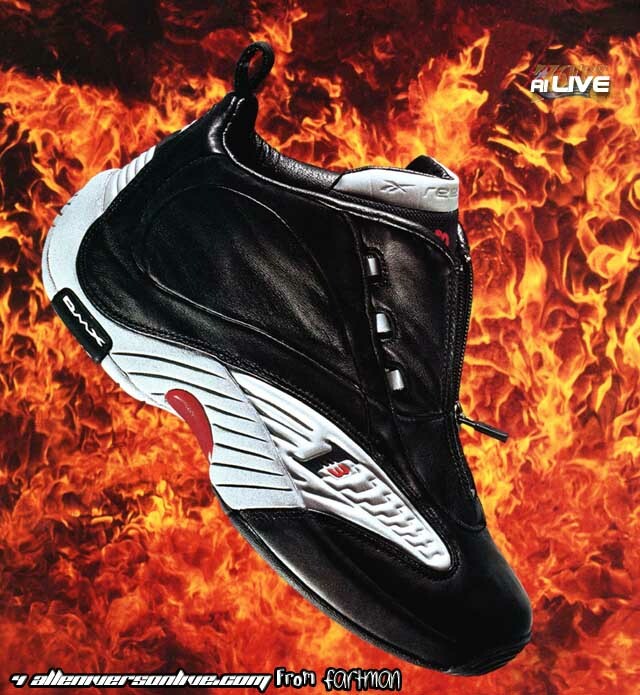 As Iverson continued to thrive, so did Reebok. Reebok launched a line of his signature shoe, called The Answer (after his nickname), with a new pair releasing every new season. By now, Reebok was a new competitor in the basketball sector, launching the I3 Collection of clothing for both on and off the court. But still, Reebok-Nike picture is still more like David vs Goliath (or Sixers vs Lakers for that matter). Reebok has roughly $3 billion in annual sales compared to Nike's $10 billion. However, times are changing. As Iverson continues to succeed, so does Reebok. This should keep Nike on their toes, while putting more flavour to the shelf next time at the local foot locker. From the boy who wore Air Jordan's growing up, to the superstar who made his own brand, these are his kicks, The Answer's.